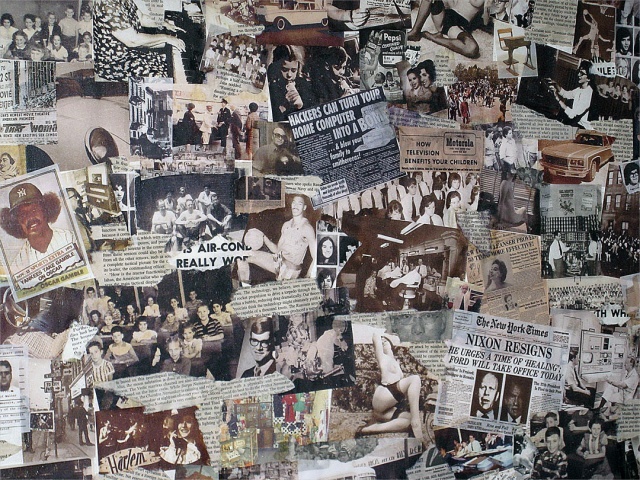 A collaboration of vintage photographs, ad clippings, and literature. This piece has a feel of old fashioned controversial and political topics. Framed in custom crafted black frame.